the summer storms are in full force right now. it seems that every three or so days we get torrential downpours and thunderstorm/tornado warnings. on these days, i rely on my trust hunters to get me through. if you do not already have a pair you should really consider investing. they are classic, fit so well, and come in so many fun colors (i love the pink ones). i was wary of spending so much at first, but found that they fit so much better than other rain boots because they are tighter around the ankle which keeps them snug on your feet! 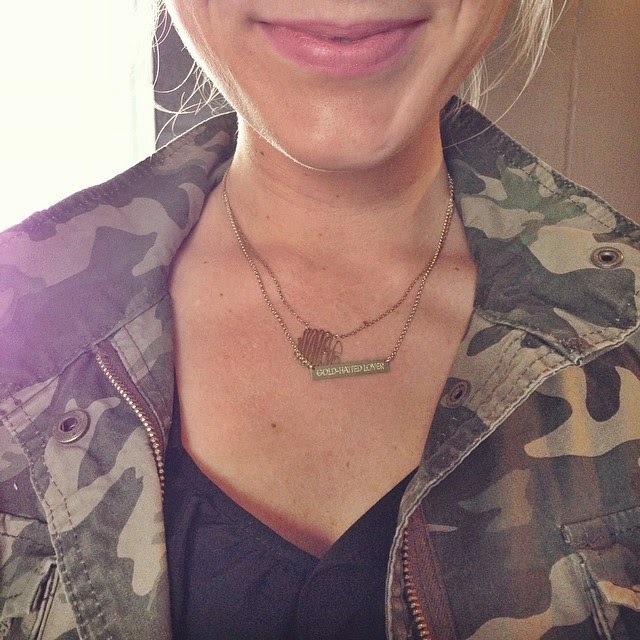 i have been loving the double monogram lately :) i cannot say enough good things about these necklaces. if you are in the market for either a personalized bar necklace or monogram of any size, use the links below and check out purple mermaid designs! 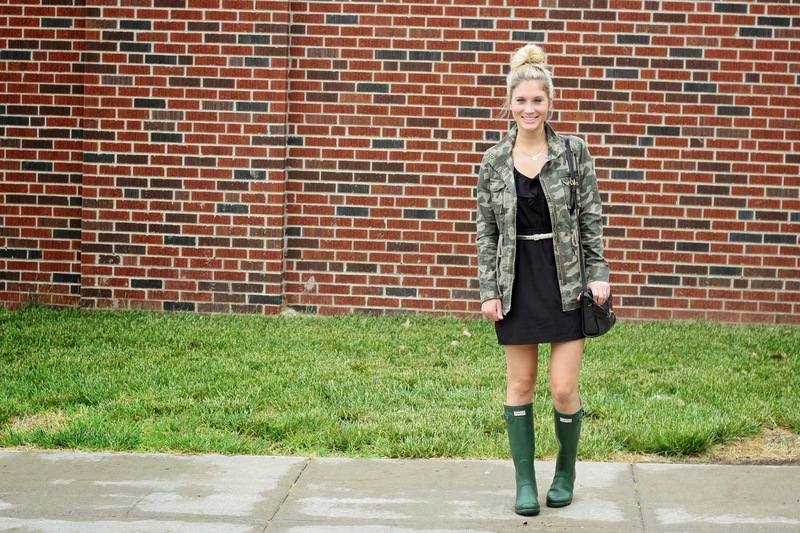 dress: forever 21, old (similar; also love this one) // jacket: old navy // boots: hunter - currently on sale for under $100! // bag: vintage coach (current version) //belt: target // necklaces: purple mermaid designs (bar c/o and monogram) // earrings: kate spade // sunglasses: c/o sunglass warehouse // nails: essie "lilacism" // lips: mac "snob" + bare minerals "charisma"
Really love this look! 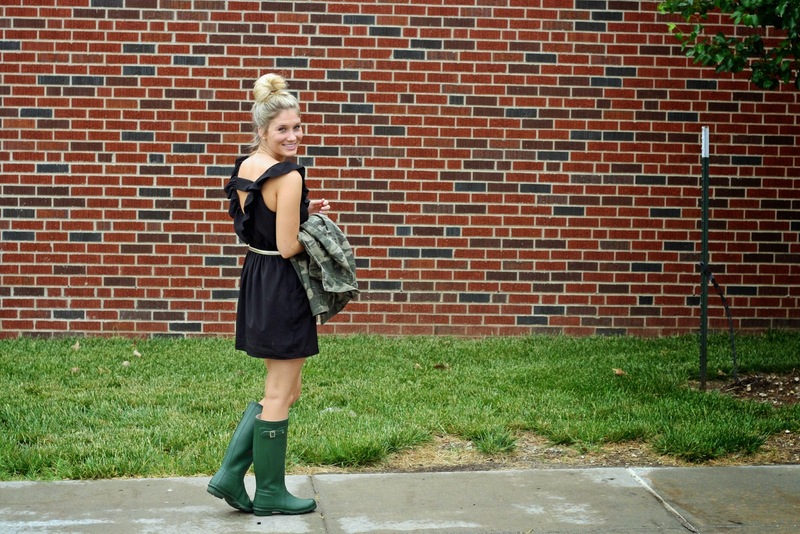 I'm dying for a cute pair of rain boots.